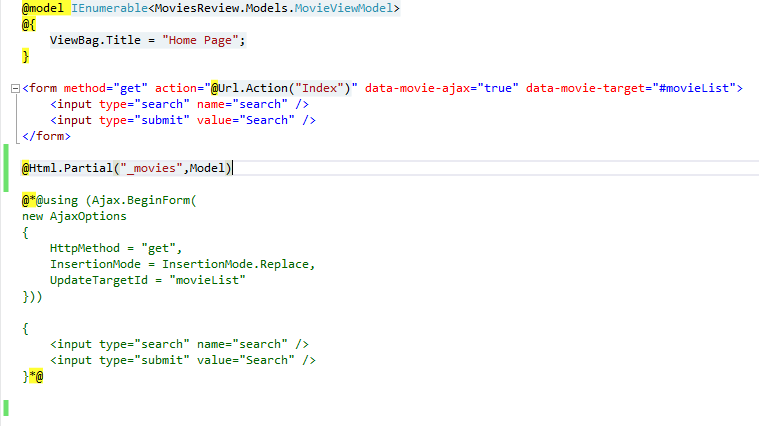 In today’s discussion we’ll be looking @ Ajax implementation with ASP.Net MVC. 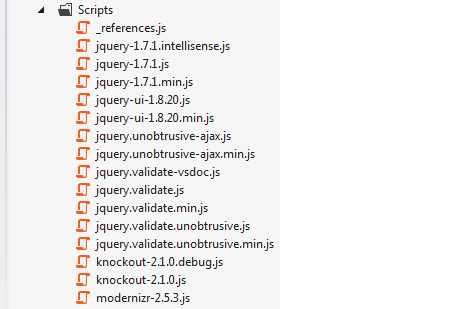 So, before jumping to these let’s see the script organization which in our visual studio solution tree. Now, here by default Visual Studio put all the scripts under one Scripts folder, so obviously you could go ahead and organize the same as your way. you could update the versions of default scripts provided in there with the help of powershell command. Now, let’s start ajaxify our home page. currently, as shown below the search is pretty simple and synchronous. Now, i should be able to see more data on my home page. this is listing the correct record, but the fact is am losing the scroll position completely because it’s re-drawing the complete page rather than that searched portion. So, to fix this we’ll be using Ajax.BeginForm, Ajax.BeginForm() is very similar to HTML.BeginForm(). 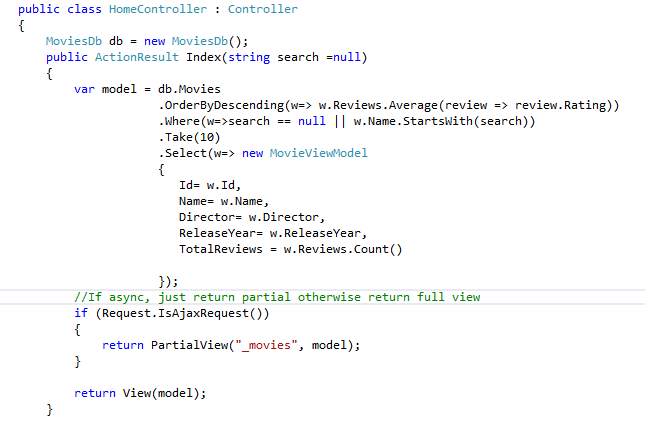 It writes out the form tag and we can instruct what controller, actions and route. so, here with that ajax options we can tell what actually we want to do, here i have also specified the div to be updated, so that it will draw only that portion which is required. So, basically this div will delimit the area which we want to update. Now, when i do the above changes and refresh the page, search seems to work but, page gets broken, because entire page is getting redrawn means page is getting embedded inside a page, and this will keep going on. so, basically here what happened is client side worked perfectly, but server side didn’t work appropriately, so server side should know how to respond to respond ajax request, and in case of ajax request how to render the view. 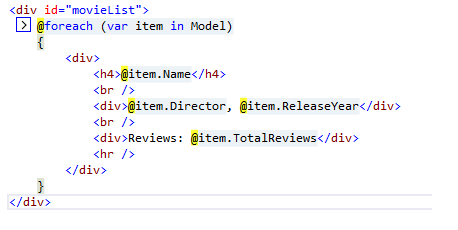 so, to fix the same, i need to do below mentioned changes, 1st i need to do make a partial view and render the same from index view as shown below. Now, with this code in place, let me just go ahead and refresh the page. 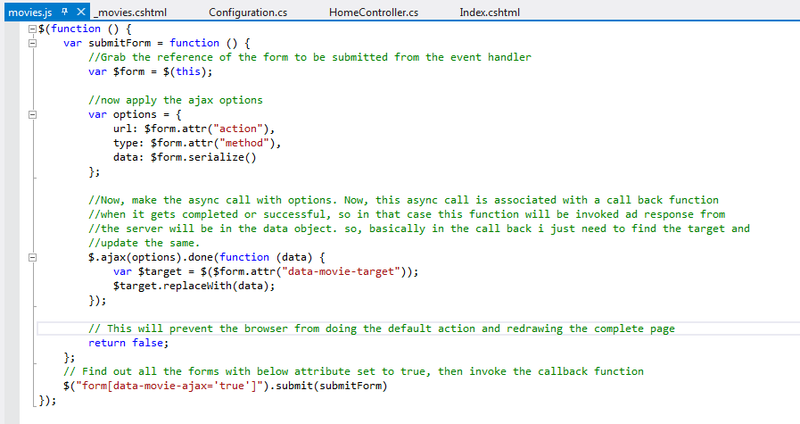 However, we could go ahead and do the same async search with our custom script with the form tag. so, if you see the page source of the page, you will find data- attribute which is basically html 5 specifications, so i could go ahead and add as many data- attribute as shown below. so, this will also work when java script is disabled. so, with this i would like to wrap, in the next session, we’ll see more ajaxification and more about using paging and all. Till then, stay tuned and happy coding.